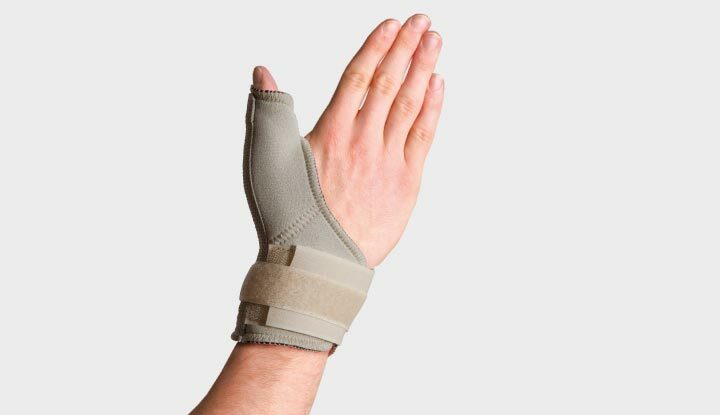 Thumb Stabiliser has two flexible supports for each side of the thumb. 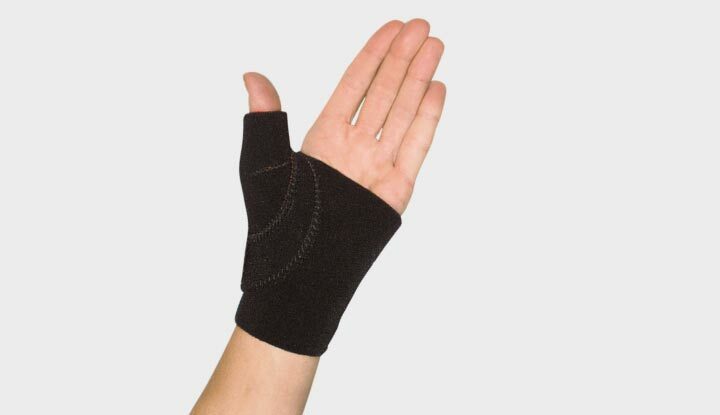 These support the thumb joint and reduces the effect of overuse and hyperextension. 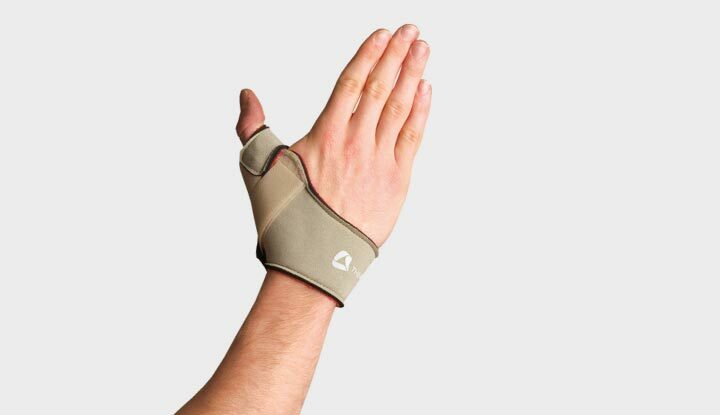 Suitable for RSI injuries, officeworkers, sportspeople or manual handling. 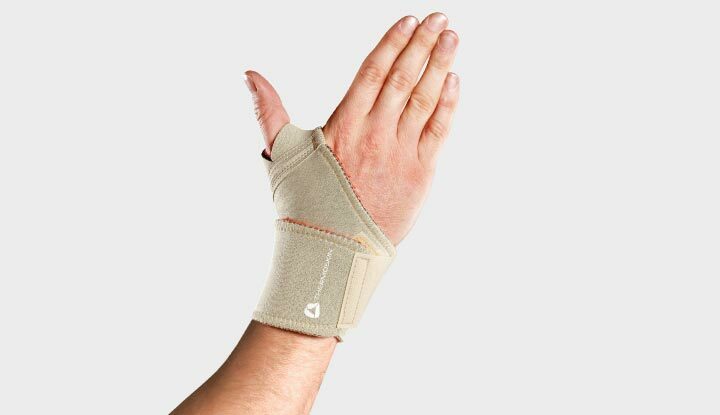 One size fits most, ambidextrous wrap design with fastener allows for a comfortable, adjustable fit/support for weak and injured wrists. 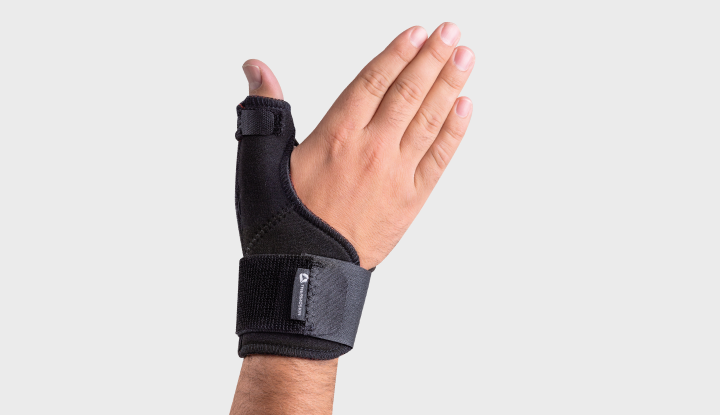 Adjustable Thumb Brace has a rigid splint that supports the CMC joint and reduces the affects of thumb hyperextension to relieve thumb pain. Useful for UCL injuries associated with ball sports, skiing and work related repetitive strain problems. 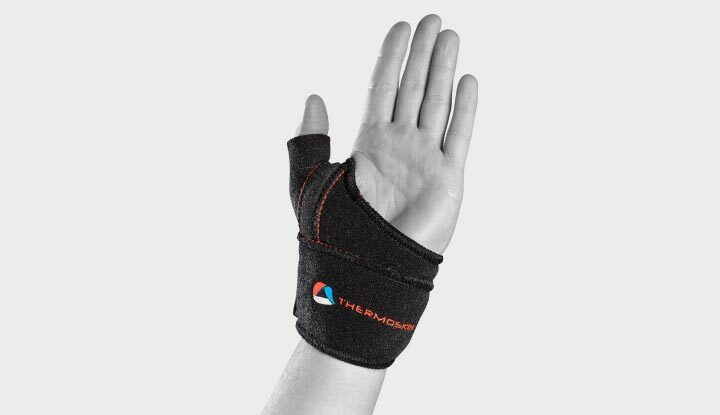 Provides protection and support for the wrist during periods of activity and for RSI. 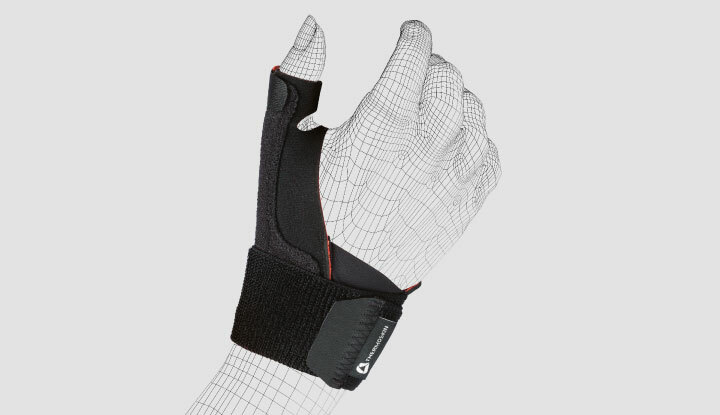 Ambidextrous wrap design with fastener allows for a comfortable, adjustable fit. 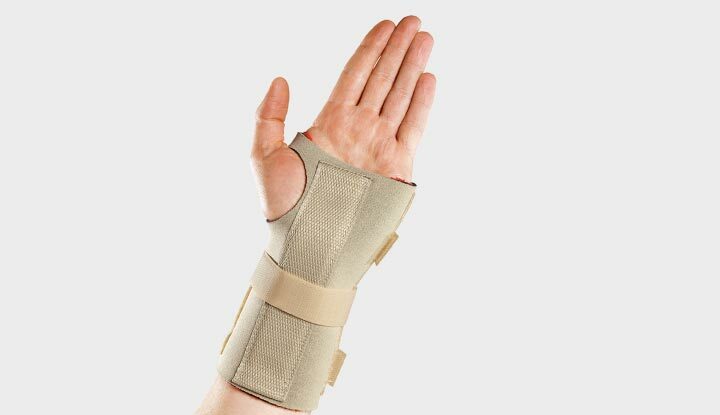 Additional dorsal splint protects the wrist from movements that can lead to Carpal Tunnel Syndrome. 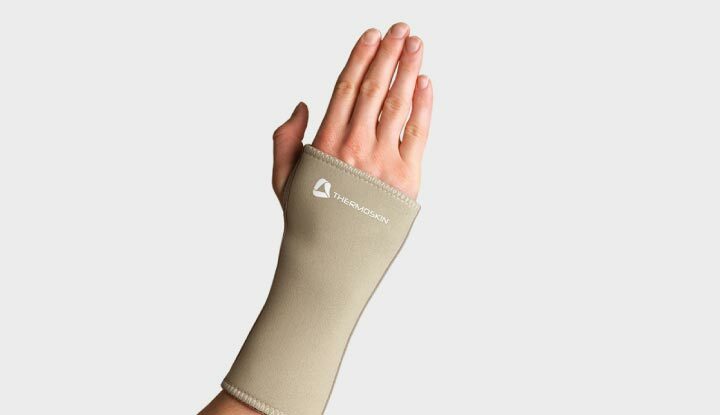 Increases circulation to aid in the treatment of RSI and tendonitis. 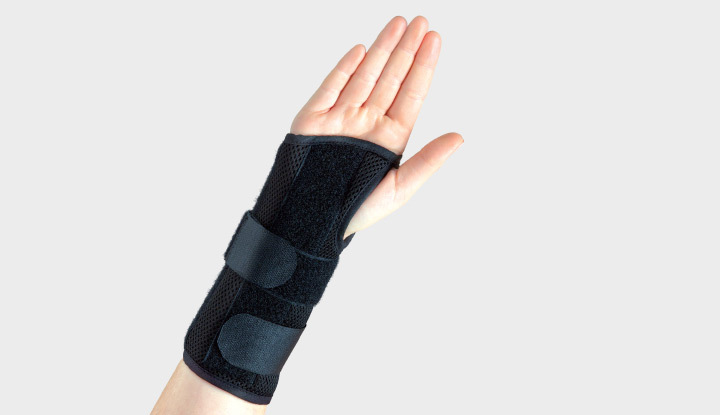 Mouldable splint supports the CMC joint, while providing heat therapy and rigid support for UCL injuries associated with ball sports, skiing and work related repetitive strain problems. Gloves are anatomically shaped and secured with a fastener. They provide warmth and even compression. A fastener allows for added comfort and fit and the outer layer is textured to provide additional grip. Sold in pairs. 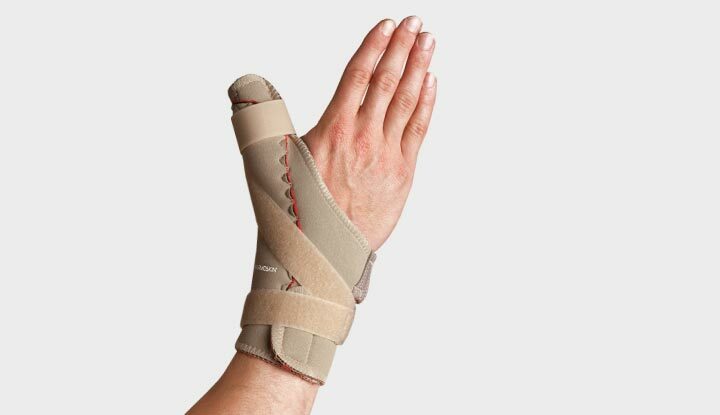 Heat responsive, mouldable splint combined with thermal material and locking strap provides protection and support to the CMC joint and UCL joint. Commonly used for sports and industrial related thumb injuries. 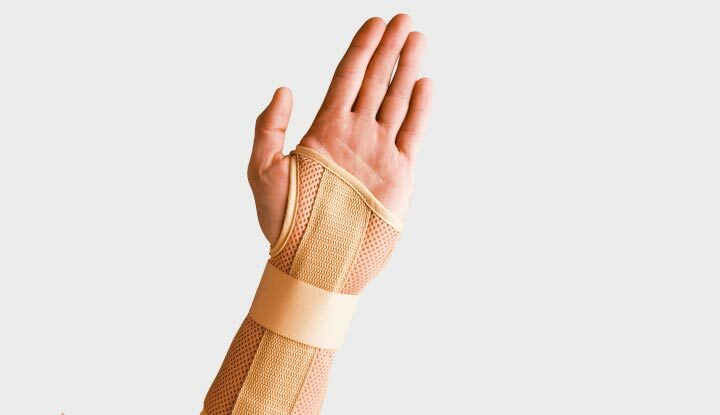 Rigid splint supports the CMC joint and reduces the affects of thumb hyperextension. Useful for UCL injuries associated with ball sports, skiing and work related repetitive strain problems. 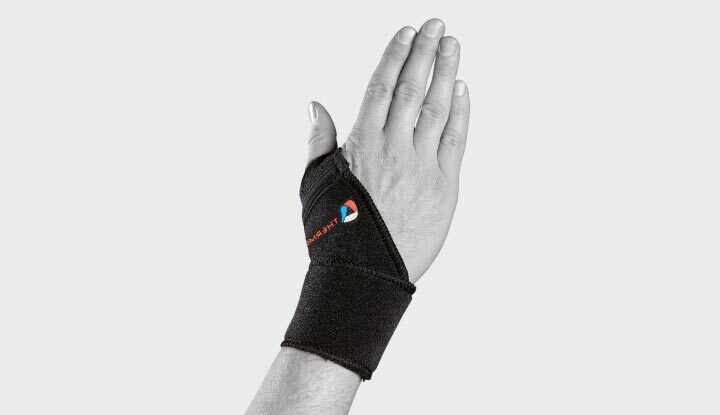 Provides protection and support for the wrist and lower forearm area. 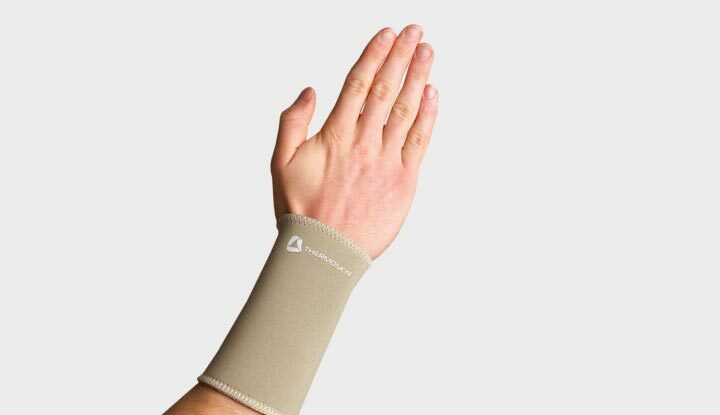 Commonly used for the treatment of sprains, tendonitis and carpal tunnel. 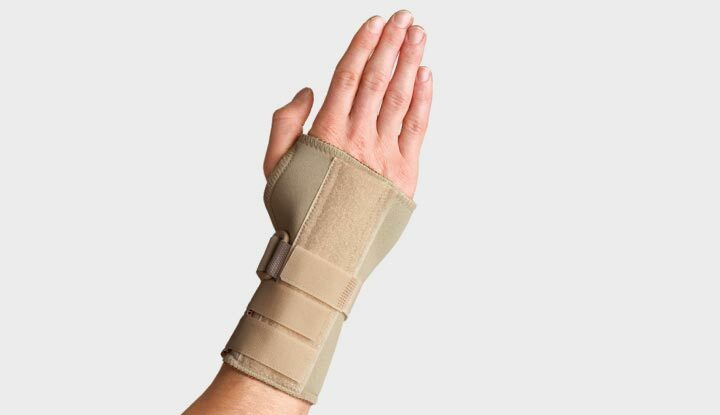 Fastener locking straps together with a metal splint positioned at 25° allows for increased circulation and provides the protection and support needed for treating Carpal Tunnel Syndrome. 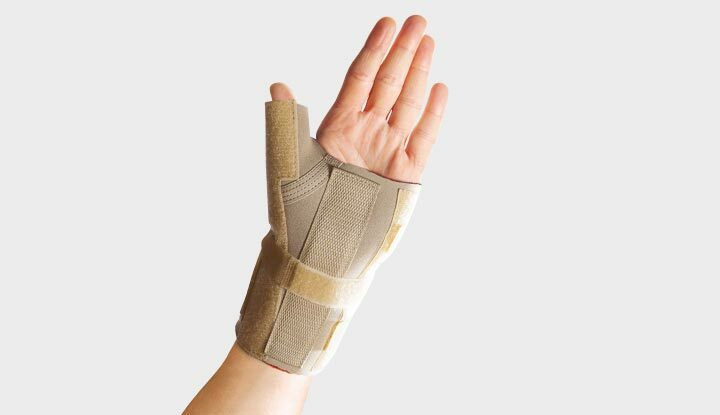 Removable palmar splint with locking strap and thumb spica provide superior bracing for wrist/hand and thumb related injuries, including Carpal Tunnel, RSI and skiers thumb. 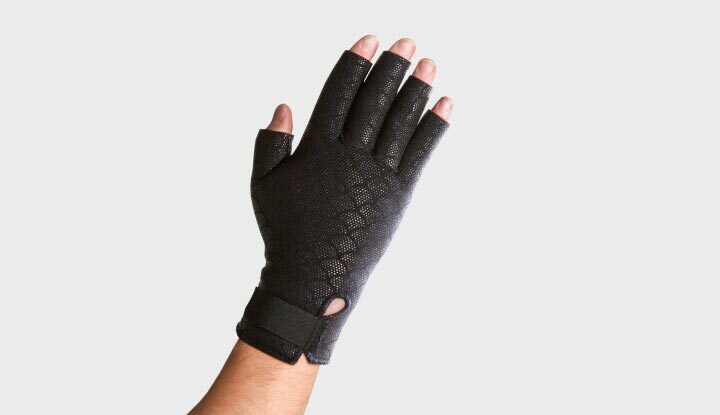 Provides protection and mild support for the wrist and lower forearm area. 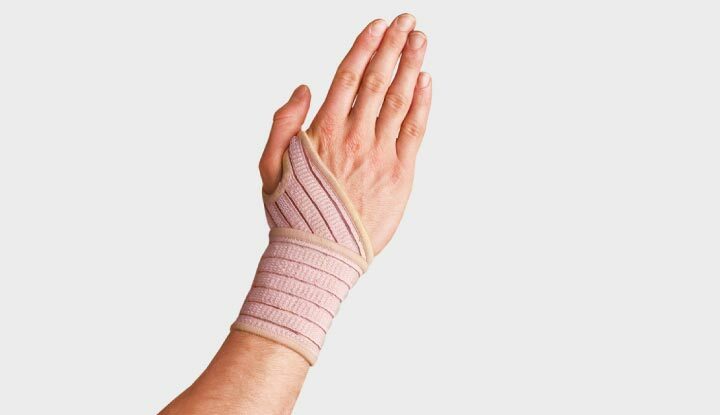 Commonly used as an adjunct in the treatment of sprains, tendonitis and carpal tunnel.